Our optical mirrors are manufactured from either BOROFLOAT® 33 or SUPREMAX® 33 which provide low thermal expansion, high thermal resistance and impressive chemical durability. Advanced Optics rectangular optical mirrors are polished to λ/4 to meet a variety of demanding applications. 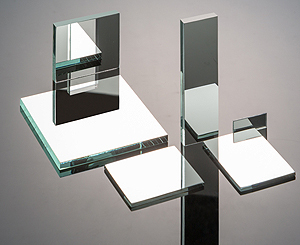 Our precision rectangle mirrors are aluminum coated with a protective SiO overcoat and are available uncoated as well.